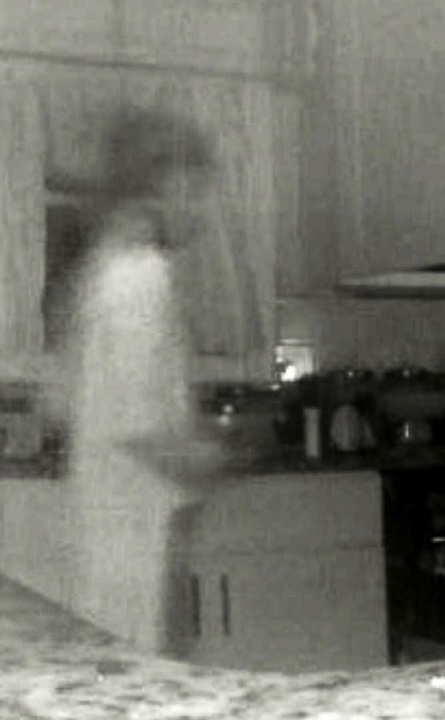 A woman in Atlanta, Georgia took to social media earlier this month to post a still image taken from her home security camera that seems to show a ghostly image of her son who passed away two years ago. Robbie Hodge died in 2016 when he was only 23 years old; the cause of death was believed to be an accidental overdose of counterfeit Xanax. His mother, Jennifer Hodge, recently shared an email to Facebook that she had received from home security company Nest on January 5th, showing the ethereal figure. "Putting this out there so people will see this is the email I received from Notifications@nest.com," Hodge wrote in a caption. "It has been a crazy week, as the person spotted does look like my son. Lauren and I were home alone, watching a movie when the notification appeared on my phone." A few days prior to Hodge’s post, her daughter, Ashleigh LaBossiere, had posted a series of photos on January 6th regarding the event, along with an accompanying narrative. My sister Lauren called me last night and she's flipping out about what just happened... She and my mom were watching a movie in my mom's room last night around midnight, when they get a notification from the Nest security system that a "person" is in the kitchen. It's only the 2 of them in the house, and they hadn't gotten up from the bedroom for an hour or two so it wasn't them. My mom said after she saw it, she went into the kitchen to check the Nest to see what was going on. The Nest was blinking off and on (something she'd never seen before). Then it shut off completely and wouldn't turn back on for a while. My mind is BLOWN. All of us have been looking for reasons to explain this away, and none of us can find any logical explanation. Like, what??? LaBossiere’s post received an enormous response on Facebook and has so far been shared over 15,000 times. The post’s popularity has prompted an overwhelming number of opinions from skeptics and believers alike, motivating LaBossiere to edit the original text to add a response of her own. We believe his spirit passed in my mom's house. He was found dead, and his body was revived but not his mind. He spent 7 days in the hospital - which might explain why he looks like he's wearing a hospital gown. Or maybe it could be a heavenly gown/robe. Or maybe just a white t-shirt (my sis says that's what he's always wearing in her dreams). Sooo crazy! We just noticed the window sash is showing through the center of his face. This shows that it's a somewhat transparent figure. Also his height in the photo (measured against the window) is exactly what his height was (about 5'9" - 5'10"). A lot of people have asked about the video footage. It shows 19 seconds. Unfortunately my mom's Nest plan doesn't save video footage; the only way she could've seen it was through the live feed. She just upgraded the plan for future. Oh, by the way, none of us are good at photo shop. And my mom got the Nest security cam AFTER my brother passed away - so there's no way it's old footage. Nests are digital anyway, so it's impossible that it's a stain or old footage coming through. Besides, I'm pretty sure Nest would be in big trouble if their cameras sometimes showed old footage as current. Regardless—the security cam wasn't around when Robbie was alive. Trust me, I'm skeptical too! Please be respectful—this is a sensitive thing for my family. We miss and love him dearly. Robbie was such a kind-hearted, genuine, beautiful soul. The family has remained cautiously optimistic about the mysterious image, approaching it with open-minded skepticism while simultaneously taking comfort in its possibilities. "There's many thoughts, opinions and beliefs about the validity and the meaning of all this. We don't know anything for sure, we're just sharing what happened," LaBossiere said. "We're honestly in disbelief, but again we can't find a logical explanation. We don't claim a dogmatic belief that this could be only ONE thing, because we'll only know the possibilities of the afterlife (with certainty) once we ourselves pass over. However, unless we find reason to believe otherwise, I like to believe that this is a peaceful and loving visit from my angel brother to let us know he's okay and he loves us." “I felt like he was letting me know he is happy in heaven,” Hodge said of the ghostly photo.